Argentinian by birth, Necko (1977), spent part of his childhood with his family in Madrid. In the early 1990's he came into contact with the HIP HOP movement and the graffiti that was brewing in the suburbs of the capital. Between the trains, the subways and the urban walls, both in his city and in the rest of the peninsula, a very young Necko is growing and building his own artistic language in parallel. 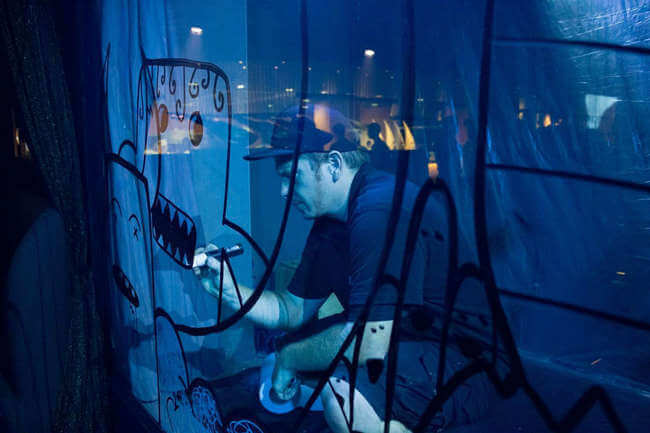 During those years he lived with mythical writers of the time, painted with renowned urban artists, won graffiti contests and participated in exhibitions of the time and became known. team of Cirque du Soleil. 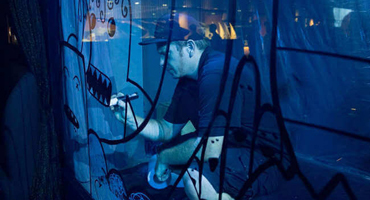 At that time, Necko began to participate actively in urban painting, design and multimedia art projects for such important brands as Hard Rock, Volvo, Ushuaïa Ibiza, Pacha Group, Moët & Chandon, Warner, Veuve Clicquot, Carpe Diem, Aston Martin or artists such as Sven Väth or Tale of Us among many others. Consolidated as an artist, he created his own studio on the island. Simultaneously, Necko was invited to urban painting festivals in the United States, Spain, Poland, Hungary, Germany, England, and he holds several monographic and collective exhibitions as a result of all these experiences. graffiti, cartography, augmented reality, virtual reality, 3D design, motion graphics, etc) in his productions. 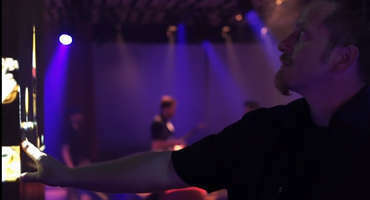 Necko, besides being one of the pioneers, is one of the leading exponents of the "painting / projection-mapping" technique. Currently, the Transhumanity Project stands out among its largest multimedia projects. During the research process of some of his projects, Necko comes into contact with the world of biology and artificial intelligence. His reflections on the possible parallels and interactions between some of the scientific aspects of the concepts of "life and evolution" and technology lead his research towards philosophical concepts such as transhumanism. It was on this basis that his most intimate and vital artistic project was born: the Transhumanity Project. 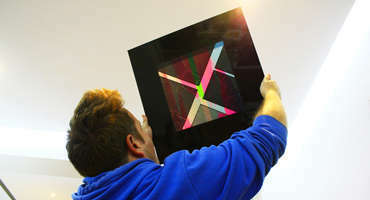 A project with which he explores new techniques that allow him to artistically express his thoughts on science, technology and possible realities.